South Korea‘s prosecutors said Friday it has launched an investigation on Korea Aerospace Industries, alleged to have swindled illicit gains by inflating costs of research and development in a project not identified to the media. Some 100 prosecutors and investigators, dispatched by the Seoul Central District Prosecutors’ Office raided the headquarters of KAI, located in Sacheon, South Gyeongsang Province, and its Seoul branch on Friday, to seize materials for evidence such as hard disks and documents. KAI was involved in multiple projects to develop homegrown aircrafts such as transport utility helicopter Surion and supersonic combat jet T-50. Prosecutors have looked into the alleged fraud since the Board of Audit and Inspection of Korea in 2015 implied KAI had extorted some 54.7 billion won ($48.1 million) in sum, partly by fabricating the source of investments from the state-run Defense Acquisition Program Administration in the development project of Surion. KAI claimed the money is not illicitly gained, citing the risk of brokering the investors. This marks the first investigation since reformist prosecutor Yoon Seok-yeol was appointed as head of the Seoul Central District Prosecutors‘ Office. Yoon was a member of an independent counsel team to probe impeached President Park Geun-hye and her administration on corruption charges. 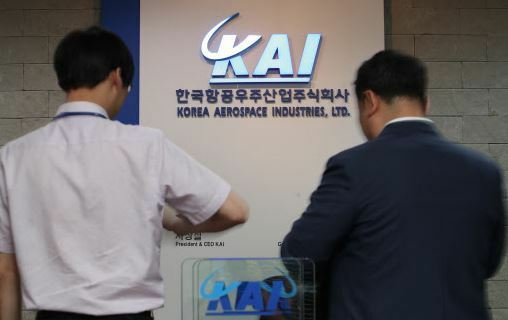 KAI is the nation‘s only aircraft manufacturer, with its major stakeholder, the Export-Import Bank of Korea holding 26.41 percent of shares as of June 30, after 18.68 percent of shares were handed over from the former major shareholder, the Korea Development Bank.